One diet theories relies on the notion that it is possible to consume foods that take more calories to burn than the food itself contains. 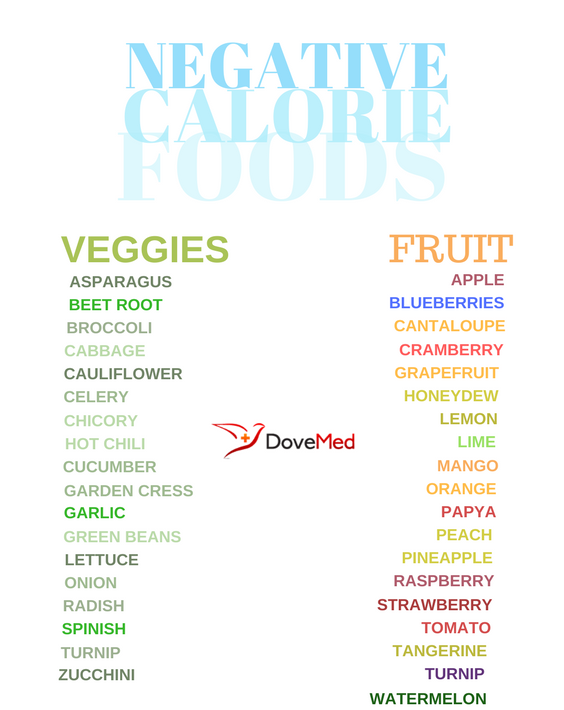 They are known as “negative calorie” foods. Fitness and dieting have become core components of our culture, with the growing markets infiltrating our lives with weight loss fads, diet supplements, and intensive exercise routines. Eccentric weight loss concepts are born and adopted in the media, claiming to have sizeable results. One of these diet theories relies on the notion that it is possible to consume foods that take more calories to burn than the food itself contains. They are known as “negative calorie” foods and have been introduced in the invention of the “catabolic diet”. It is likely that you have heard this scenario applied to eating celery for weight loss. Celery is known as one of the lowest calorie foods you can eat, as it is high in fiber and water-heavy. According to the National Nutrient Database, 1 large stick of celery (11”-12” long) contains 10 calories. On average, chewing expends only 11 calories per hour, regardless of the food type. The number of calories it takes to digest the food accounts for 5-10% of your total caloric intake and varies based on the individual. Needless to say, it does not take an entire hour to eat one large celery stick, proving this theory is not applicable to food consumption. In actuality, high nutrient and low-calorie foods undeniably aid in weight loss. However, this is not because they create negative calories. These low-calorie foods, like celery, are instead consumed and replaced by crackers, chips, and other highly caloric options. Other low-calorie foods thought to create the caloric effect include cucumbers, cabbage, and grapefruit. As per Tim Garvey, the Chair of the Department of Nutrition Sciences at the University of Alabama, high-fiber, water-heavy fruits and vegetables fill up the stomach and increase satiety. This keeps you from consuming more calories later, but definitely does not burn-off the calories that you have already taken in. Consider sticking to the diet suggestions that have been thoroughly researched and proven safe. The Center for Disease Control and Prevention recommends a gradual weight loss of 1-2 pounds per week by cutting 500-1000 calories from your diet each day. Your diet should contain a substantial amount of your daily nutrient needs, along with whole grains, fruits, vegetables, and plenty of water. Despite some of these favorable claims regarding negative calorie foods, there is no scientific evidence to back them up. There are no documented studies with results suggesting that the body expended more energy by digesting the food than the food itself contains. Proponents of these types of diets will claim just about anything to make a profit. A negative calorie diet as such is neither justifiable nor provides the proper amounts of nutrients needed to sustain life. Tim Garvey [expert]. University of Alabama; 2013 Mar 15 [cited 2015 Jan 28]. Subramanian, S., & Deaton, A. (1996). The demand for food and calories. Journal of political economy, 104(1), 133-162. Sandrou, D. K., & Arvanitoyannis, I. S. (2000). Low-fat/calorie foods: current state and perspectives. Critical reviews in food science and nutrition, 40(5), 427-447. Barnard, N. (1999). Foods That Cause You to Lose Weight: The Negative Calorie Effect. Harper Collins.